Bats and Cats. it's Halloween time again. The bats measure approx. 1.5" wingtip to wingtip and are .75" to 1" tall. The black cat faces are about the size of a dime in diameter. 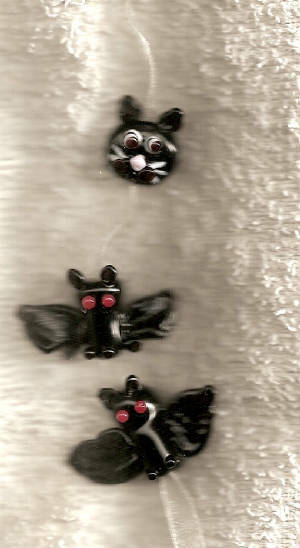 The bats are $3.00 each and the black cat faces are $5.00 each. My cute, scary little ghosties. Price: $4.00 each. They make charming earrings or a Boo-tiful pendant. 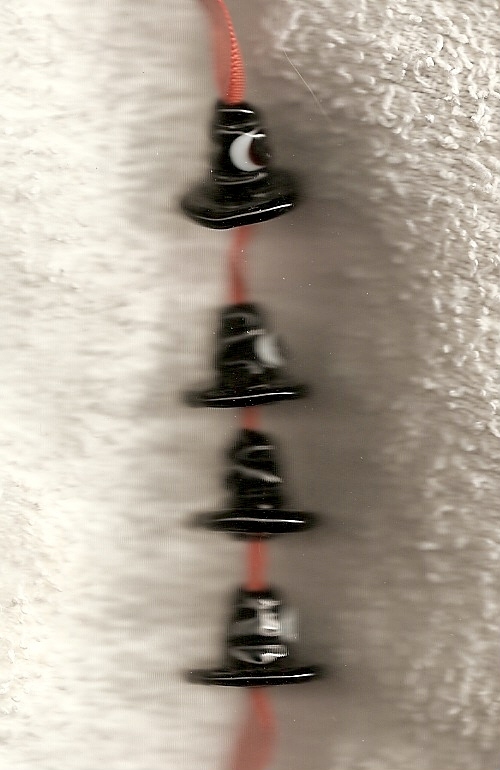 Boo Beads: These two pictures are front and back of the Boo Beads. Each bead is about 14-17mm wide. 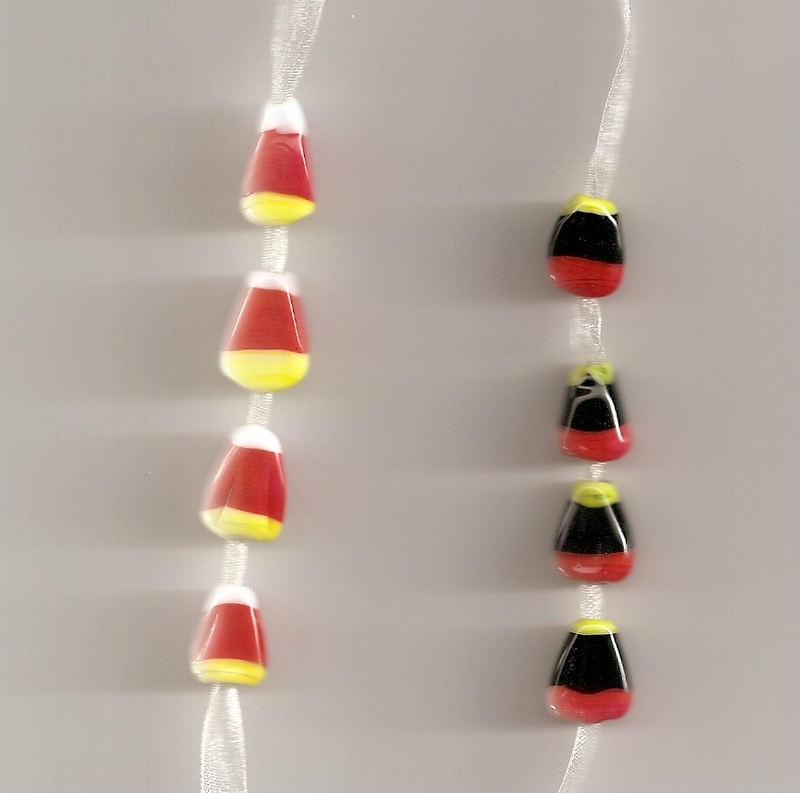 Boo beads are sold by the bead at the price of $4 each. A set of two make quick earrings when threaded on a headpin and attached to ear wires.